I received the MISUE Large Display Digital Wall Clock at a discounted rate in exchange for my review. I remember having digital clocks when I was younger and into high school. Sometime after getting a cell phone, I started to depend on my phone to wake me up at designated times. The digital clock has been forgotten. I liked that this clock is large display. I wanted something I didn’t have to squint at to read, and this does the trick. 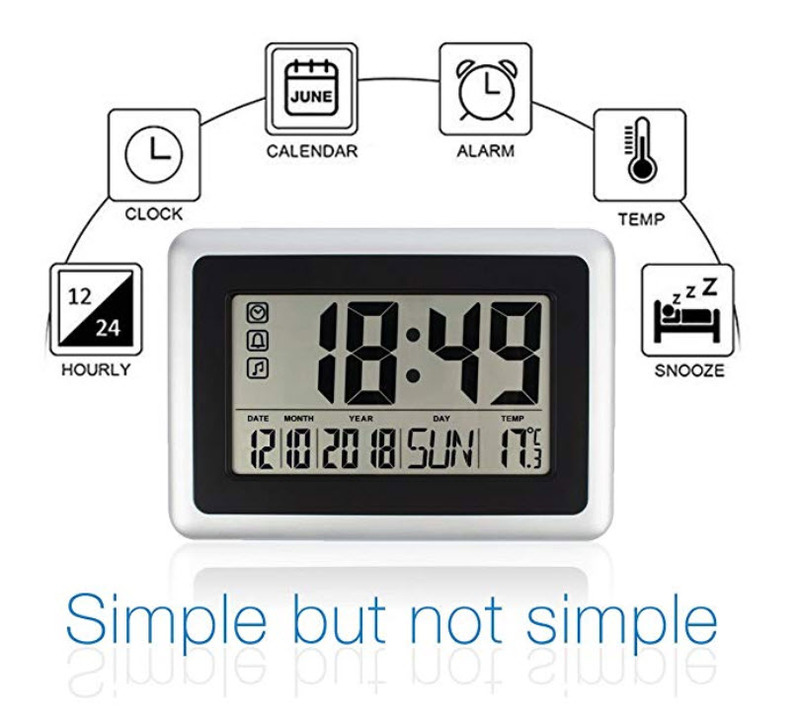 Not only does it tell the time, but it also displays the date and the temperature. There are holes on the back so you can hang the clock, but there’s also this pull out stand so you can use it as a stand clock. I have it sitting on my bar right now. I haven’t used the alarm yet, but the product description says it is loud and is useful to help seniors remember to take their meds or that it’s dinnertime. There is a typo on the box which I thought was uncool. But, if I’m only talking about the product and not the packaging, the clock is functional and does what it says. The date feature is weird for Americans. We’re used to MM/DD/YY, and this clock as DD/MM/YY. So my daughter asked me why I had the date wrong, haha!! The seller has a no worry, money back guarantee. Return for a FULL refund if you’re not happy. I love the 100% customer satisfaction guarantees! It means you have nothing to lose to try it out.